Take the big rig for a spin! See what it feels like to be in the captain's seat. Tour the school and see a live trucking terminal in action. Then have lunch on us! 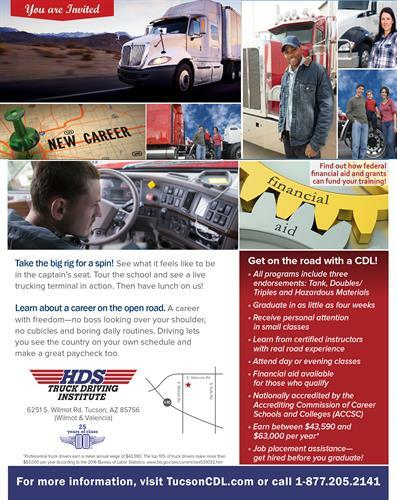 Learn about a career on the open road. A career with freedom-no boss looking over your shoulder, no cubicles and boring daily routines. Driving lets you see the country on your own schedule and make a great paycheck too.